Are you searching for that perfect “mother’s day gift” for your lovely mom? Look no further! Present your mom with new hardwood floors that make for a stylish, timeless home. Alexandru Hardwood Flooring is always ready to help with quality hardwood floors for a competitive price. Hardwood floors can add warmth and beauty while increasing your home’s value. Our floors can be installed on all levels of mom’s home and they come in multiple styles that allow installation flexibility over different subfloors. Our expert floor installers take even the smallest details into consideration, working with you directly, presenting you with various hardwood flooring styles and installation choices. Make use of a doormat on the front door and the back door, and help mom protect the investment of hardwood! Properly maintained hardwood floors may never require replacement. This Mother’s Day, give your mom a gift to remember. 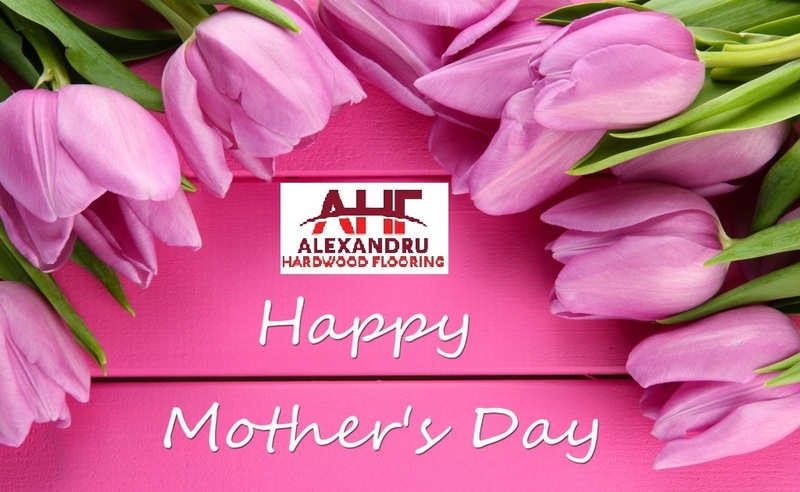 Alexandru Hardwood Flooring is offering 10% off on any job for the entire month of May! Be sure to take advantage today. 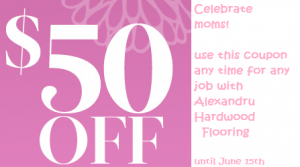 We also have a very special coupon for moms $5o off any job with us for a limited time. For professional services and questions on hardwood flooring, contact Alexandru Hardwood Flooring.